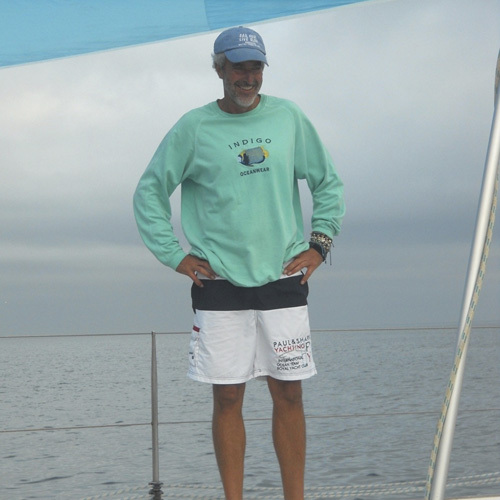 Neil is incredibly passionate about sailing and marine conservation in general. 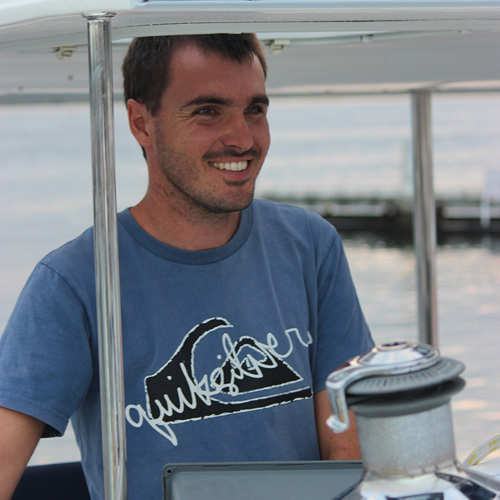 He loves to share his knowledge and love for the ocean and our area with those that join on charters. As a skipper he is cool, calm and collected and knows his way around this coastline. The yacht, Ocean Rhythm, is Simon’s baby, and if you take a look inside you will see clear reflections of him in the décor and written quotes. A true sailor and a warm, down to earth person, he will make you feel most welcome from the moment you climb aboard. 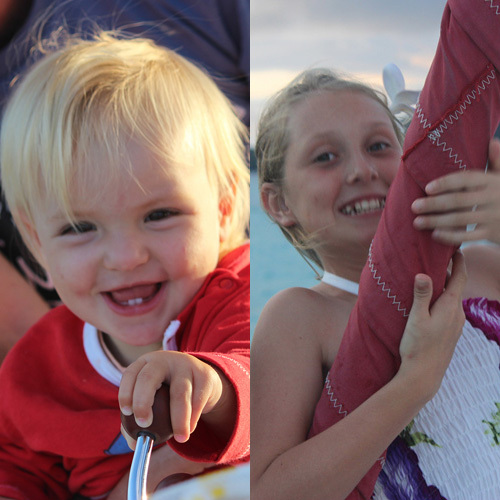 As much as Leigh loves the water, she also enjoys the challenge of hospitality and marketing Ocean Sailing Charters. You will sometimes meet her on a charter, hostessing and catering, as she loves to be at the pulse of the business when she can get a gap. Leigh is also our events coordinator and has had many years in the business, so will tend to all your needs in the most professional manner. Naomi is our lovely hostess during the summer months. 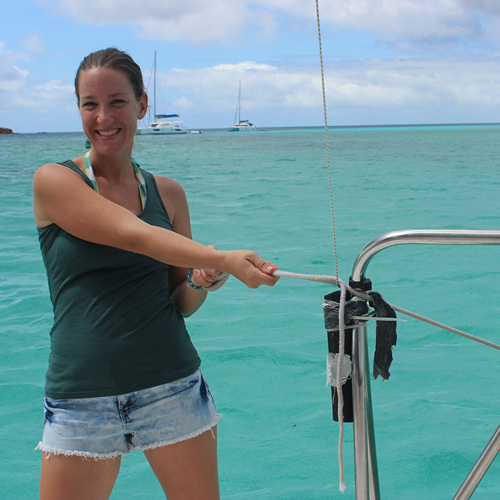 Because Naomi is a bookkeeper by trade, Ocean Sailing Charters fulfils the need to get her share of the wind and sea as much as possible. She always takes care of the guests and makes sure everyone is topped up and having a good time! These two are our crew in training. Bella loves the sea and comes along at times when Leigh is on board. She is a friendly, smiley little girl and will certainly keep everyone entertained! Chenoa is a keen hostess and loves to prepare and serve snacks. 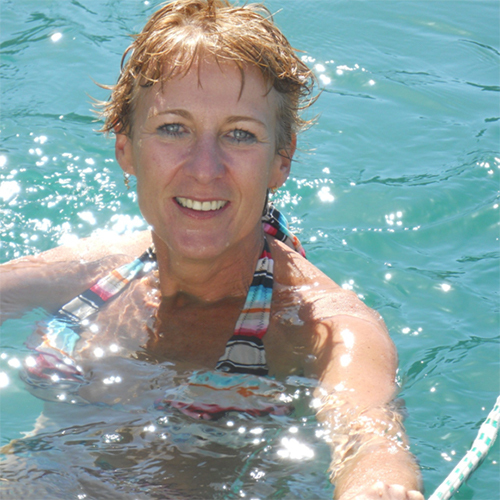 She is also learning the ropes (literally) of sailing and often helps Neil as a deckie when she joins on a charter. Gael is an authored chef and does the catering for the events and overnight stays. She is famed for her book “Café food at home”. 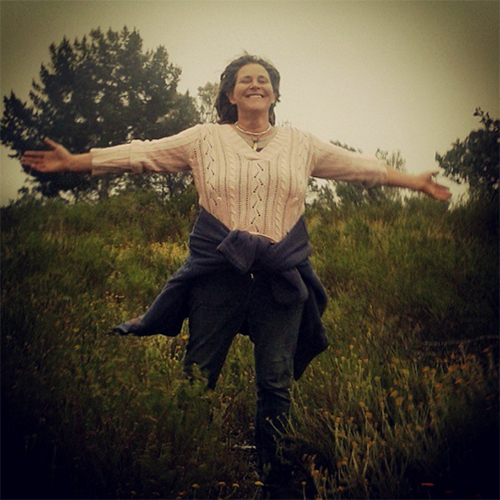 She is also a freelance consultant and helps set up new restaurants, specialising in menus and training.